This book reminds me of the Mrs. Piggle Wiggle books by Betty MacDonald, where in each chapter a child's particular weakness is dealt with. Although this book does not use magic to solve the problem. 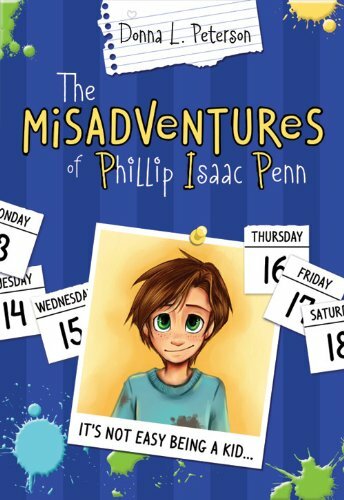 One thing I particularly liked is that things don't always go Pip's way, not every situation has a 'happily-ever-after.' This makes the book much more believable. Pip also reminds me a great deal of characters like Alvin Ho, Stink, or Bobby, or Ramona, Judy Moody, and Clementine, whose intentions are usually good, but whose plans often go awry. I also appreciated the fact that Pip recognizes that he has made mistakes and honestly tries to do better. The writing is smooth, although the repetition at the beginning and ending of each chapter get a little old. The illustrations provide a nice complement to the story, the expressive eyes of the characters are hard to resist. Recommended. One thing I enjoy about O'Malley's work is the variety of styles that he uses. 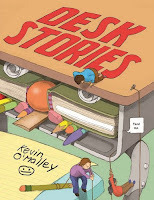 In this collection of short stories he uses a variety of styles, making each story stand on it's own. 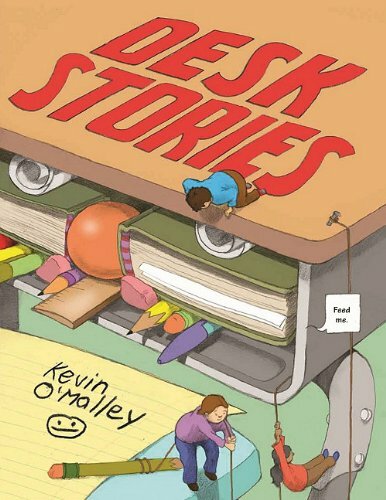 My favorite story was the one about the history of the desk (it was fun reading the made up caveman talk). The jokes were a nice pause in the middle and the desks of the future intriguing. The third graders I read this to did not go to sleep, I think they liked it. I ran out of time though, so I didn't really get to discuss it with them, hopefully I will have time for that today. Little, Brown & Company, 2011. I must confess, I'm not entirely sure about this book. On the one hand, the rhymes are fun to read, but it's hard to switch back and forth from the rhyming text to the regular text. 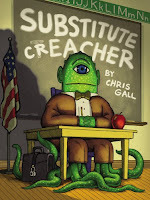 The illustrations are fun, but I'm not real fond of monster stories. I'm not sure what the fifth graders I read this story to thought about it either, I should have asked for feedback. One thing I am sure of, they were not bored. The bright, colorful, and artfully arranged illustrations definitely kept their attention (hard to do when you have 30+ students). I especially liked the way certain pieces of the text were highlighted, this helps the reader know when it's time to change one's tone of voice to make the story as delightfully creepy as possible. Another interesting thing I noticed was the questions the students had about the ending. Several students suggested different possibilities for how the ending came about and what it meant for the main character (the Creacher). So the story is definitely thought-provoking. 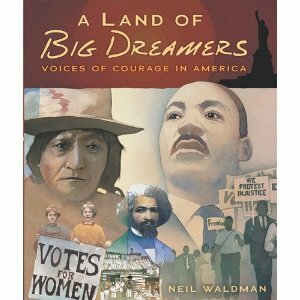 I plan to use the book today with another class of fifth graders and see what they think. Overall, I'd say the book was a success and worth using again. Every year as school starts I look for new books about school to share with the students. This year I found several new ones to try out on my students. When I heard about this one, I knew I had to get it and try it out. I used it last week with a class of first graders and if giggles are any indication, it was a success. Of course, a book that involves the word "underwear" and taking an entire watermelon to school for a snack is bound to be funny. The brief text allows the reader/listener to focus on the colorful, appealing illustrations. 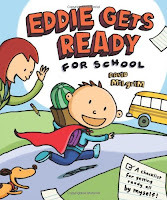 I look forward to using this book with my other first grade classes and probably the kindergartners as well. 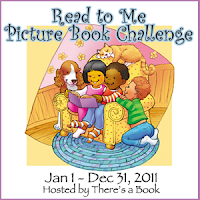 Head on over to There's a Book for more information on the Read-to-Me Picture Book Challenge or head on over to The Lemme Library for Book Talk Tuesday. Nonfiction Monday: What's So Funny? I found this book rather fascinating. I had no idea that people actually studied humor. It makes sense though, since laughter is such a big part of human existence. 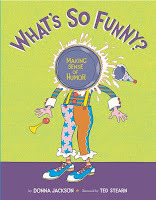 The author starts off by defining humor and explaining that, "Humor is highly personal." Which is very true. This made me think about the times when I've been reading to my students and they laugh at something that I don't see as funny, or I am trying to avoid bursting out into loud laughter and the kids are straight-faced. Despite the fact that there is no one way to define what is funny, there are several theories that attempt to explain this phenomenon. First, the superiority theory, jokes that target stupidity and klutziness. When I read this I immediately thought, blond jokes, lawyer jokes,etc. There are many types of jokes that fit into this category. The second theory that Jackson presents is the relief theory. The idea being that we can address topics that scare us or stress us out through humor. The third theory is the incongruity theory, when one thing is expected but something else happens and surprises us. The book easy to read and to follow organization wise. The author has clearly kept her audience in mind. The inclusion of jokes throughout is a nice touch. Jackson covers a lot of related topics, theories, anatomy (the physical act of laughing), animal laughter, and even how to tell a joke well. 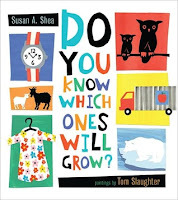 I plan to use this book with my older students as a precursor to storytelling. It would also combine beautifully with any joke book. Recommended. 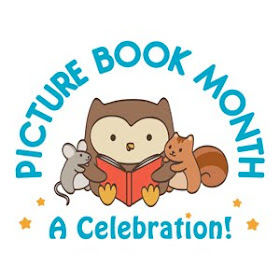 Nonfiction Monday is hosted by Capstone Connect today. It's a fun way to learn about other great nonfiction books for kids. Wild & Wonderful Wednesday: What makes a classic? Sometimes when I go back and reread a book, I find that I don't like it as much the second or third time around. I've reread books that I liked when I was a kid, but I don't like them as an adult. But there are some books that are better the second, third, or fourth time around. And that is for me what creates a classic. I confess I don't like a lot of the books that are traditionally called classics, many of which are too dark and depressing for my taste. I like books that contain a strong element of hope. 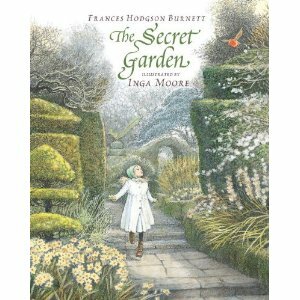 I heard about this beautifully illustrated version of The Secret Garden and I wanted it. When it came, I started to reread the book, not having read it since childhood. I loved it. I loved the characters, Mary, and Dickon, and Colin and Martha, even crotchety Ben Weatherstaff. I enjoyed reading about Mary's excitement when she finds the garden and how she comes alive along with the garden. And the illustrations are amazing. I wanted to jump into the book just so I could see the garden up close. I read the book slowly so I could savor every word. And above all, the book is about hope, about life and the beauty found therein. Our world is so focused on the negative sometimes, that a good dose of hope is like a breath of fresh air. Just like this book. A powerful reminder that while I enjoy new books, sometimes there is nothing quite like an old friend. The cover is gorgeous. The characters are unique and interesting, and their growth seems real with the exception of a couple of places where characters do things that are very out of character and it doesn't seem quite believable. But the world is to dream about (as long as you are not afraid of heights, like me). I did struggle with the writing somewhat. I'm not sure if the author just has a unique style or if the phrasing was too British, but the writing didn't flow the way it could have. I thought it was interesting that the author presents the reader with the experiences of not only the hero, Ark, but his archnemisis, Petronio. 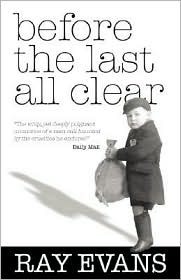 By the end of the book, I felt like I understood what made each boy tick, both the good and the bad. The plot was slower at the beginning, which makes sense, since the author has to present the reader with a picture of the world and the conditions under which it exists. The last third of the book definitely picks up the pace, I almost felt like someone had knocked the wind out of me. The last part of the book is also much darker, as Ark is faced with having to fight a battle he would rather not fight. The fact is war is ugly however you look at it and Peters depiction of it feels very real. The scenes at the end were almost to much for me, but would undoubtedly be just right for someone who doesn't mind that sort of thing. Most of the books I read these days are children's books. Occasionally I read an adult history book or memoir and that is what I am highlighting today. Reviewed from copy sent by the author. The life experiences of ordinary people can be particularly powerful simply because they can be easier to relate to for most readers. I love reading about Abraham Lincoln, a man I greatly admire, but I'll never know what it is like to give a speech in front of a huge crowd or live in the White House. But I can imagine the heartbreak of being separated from one's family at the tender age of 6. I can imagine the adventuresome spirit that led a young boy to walking on the railroad tracks or fighting unkind treatment the only way he knew how. It all started many years ago, back in the early sixties when my son and daughter were children. Rather than have me read the typical story books such as the Three Bears or Snow White and The Seven Dwarfs, they would always beg me to tell them stories from my evacuation days. Of course they were very young at the time so I stuck with the funny tales that made them laugh and see the entire experience pretty much as a big adventure. My children loved the stories so much it was always me and not my wife they insisted on putting them to bed. In fact, telling those stories so many times over is the chief reason why they’ve stuck so vividly in my memory. Then one day my daughter suggested I put the evacuation stories down on paper so they could be passed on to my grandchildren in England, those who didn’t get to hear them first hand as Kimberly did. However, expecting the stories to end up in print was the furthest thing from my mind. In fact, had it not been for my wife mailing the stories off to the publishers in England a couple of years later, I’m not sure where they would have ended up – probably packed away in a box somewhere in the attic. The story is interesting enough to make it easy to overlook the problems and gives an interesting perspective on the events surrounding what has come to be known as the Battle of Britain. I had no idea that so much bombing took place all over the country. Most of what I've read on the topic focuses on London. The book conveys the ups and downs that Ray experienced as he moved from place to place, sometimes wanted, other times very much unwanted. The experiences he shares are sometimes funny, sometimes sad, and sometimes infuriating. For someone who works with children as I do, I found the treatment Ray sometimes received troubling. Unfortunately, all to many children today are treated in a similar manner. The author has provided a book for a giveaway. To enter either leave a comment or email me at hg195 at yahoo dot com. I will draw a winner from all entries received by September 15th. Thanks for visiting. For this upcoming school year, I am using this year's summer reading theme, "One World, Many Stories." As part of that I am paying particular attention to books that take place around the world. Today I am sharing some books that highlight the continent of Antarctica, a place few of us will ever see in person. After reading these books, I am more than willing to let others visit the place, while I stay at home wrapped up in a cozy blanket and read about it. 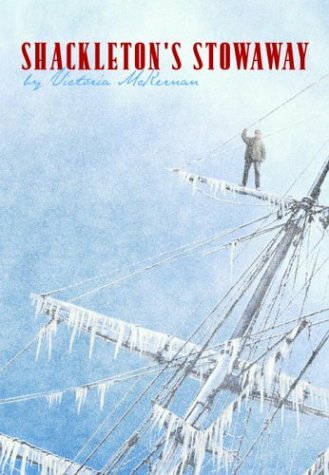 This book is a fictionalized version of Shackleton's and his crew's year and a half ordeal near Antarctica (they never actually landed on the continent itself). The author does a great job giving the reader a feel for what it may have been like to be there. At the end of the book she explains why she presented things the way she did. A great survival story that shows that no matter how powerful we humans think we are, mother nature is more powerful. 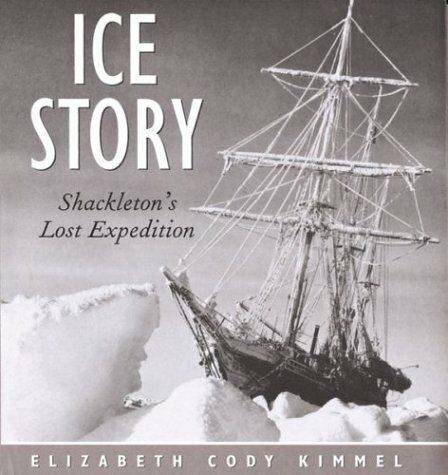 These next two books are both nonfiction accounts of the survival of Shackleton and his crew. It was interesting to read them and compare their strengths and weaknesses. Armstrong does a superb job of telling this true story. 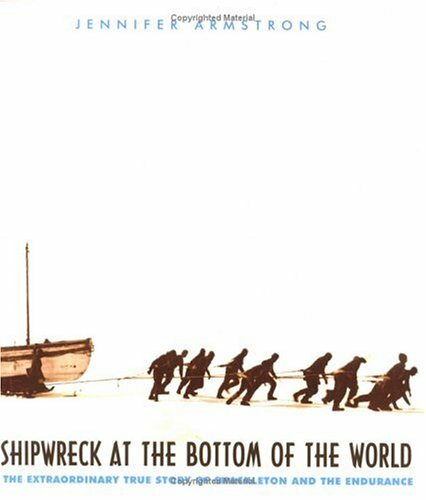 A survival story that rivals any ever made up. The author clearly did her homework, as the bibliography clearly shows. I appreciate that she used as many primary sources as she could get her hands on. I might have wished for more photographs, but the ones that are included make the story that much more real. The photos taken of the destruction of the ship are especially powerful. This version is more appropriate for older students, simply because of the amount of detail. The strengths of this book are the readability of the text and the numerous photographs. The photographs really help the reader appreciate the pickle that Shackleton and his crew found themselves in. 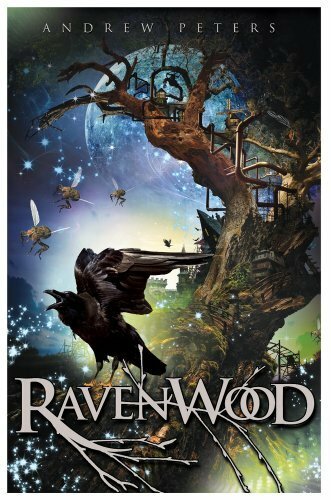 This is the book that I plan to share with my fifth graders, simply because it's so readable. I did notice that some of the things the author includes don't quite line up with other accounts. However most of these things are minor and the inconsistencies are to be expected based on the sources used. Plus, no group of people, even those who experience the same thing, are going to see or experience it in exactly the same way. Recommended. 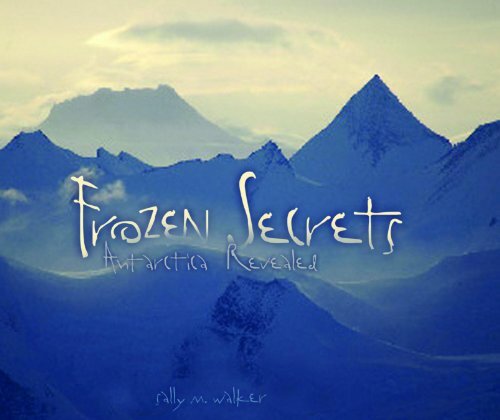 Note: For another great book about Antarctica (science-based) see here. 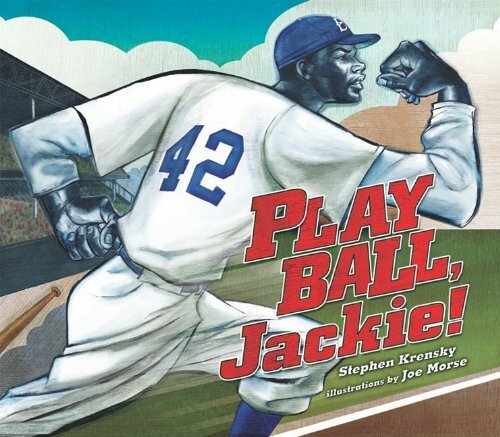 Nonfiction Monday is a great way to find out about nonfiction books for kids. Head on over to Amy O'Quinn for today's round-up. 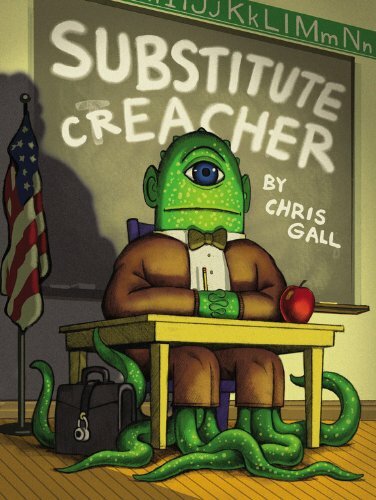 With so many children's books vilifying teachers, I enjoy coming across a book with a great teacher in it. Throw in some magic and some children and I'm hooked. Working in a school, I have a chance to see the power of a good teacher to make a difference in the lives of his/her students. While I too try to make a difference, I only see each class once a week, so except for the avid readers who I see almost every day, I often don't know all the challenges that students struggle with, both personal and familial. This light read involves students facing up to and learning from their weaknesses through the use of a magical closet and its magical inhabitants. I wish I had such a closet, sigh. I appreciated that it wasn't just the students who learned from the animals, but also Ms. Plum. As a teacher, I feel it is important to keep learning every day. I plan to use this book with my third grade classes as a discussion starter about behavior and how we can help each other be better. STEM Friday highlights great Science, Technology, Engineering, and Math books are available in children's literature. Today I'm highlighting a great book by Sally Walker, one of my favorite nonfiction writers. Great organization: the book is easy to follow with a logical beginning with the race to the South Pole and the first discoveries to the implications of global warming in Antarctica and the possible repercussions world wide. Great design: the design is attractive and appealing. Awesome photographs that give the reader a glimpse into a harsh, but fascinating place and the price paid by those who choose to study there. The amount of text and technical nature of the writing make this book most suitable for secondary students, although I plan to use some of the photographs to help my elementary students develop a better appreciation for our planet's often ignored seventh continent. Note: Check back Monday for more books about Antarctica. The minute I read about this book, I knew it was one I wanted to get. The younger children that I work with really enjoy interactive books. The concept is a fun one (checking the reader's knowledge of what things change shape or size over time and which things don't) and the flaps are pretty cool too. I had fun reading the book and even laughed at the end. I decided to try this book out on my almost four-year-old nephew, Action Boy. I had to catch him between 'adventures.' Sure enough, he liked the book. He even wanted me to read it again. The first time through, he answered no at all the right spots. He said it in kind of a laughing, 'what a silly idea' kind of way. The second time through he did what I expect a lot of children do, he deliberately started saying yes, even though he knew the answer was no. He got a kick out of being contrary, I guess, but it was funny. The second time through he also started helping me flip the flaps (he knew what was coming this time). Overall, I'd say the book was a success and I plan on using it with my kindergarteners later this year. Highly recommended. I have found words to be a powerful tool that can be used in both positive and negative ways. When I hear the phrase, "sticks and stones will break my bones, but words will never hurt me" I know how wrong it is. Words can do a lot of damage. But words can also do a world of good and that is the idea that Patricia MacLachlan explores in Word After Word After Word. Each of the five children that the story focuses on has there own troubles, everything from a parent with cancer to resentment toward a soon to be adopted sibling. 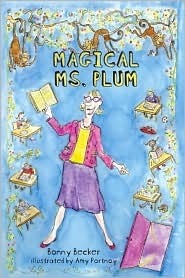 Ms. Mirabel reminds me of a teacher I had who taught me the power of words. She teaches the students about how writing can help a person cope with problems, express joy enabling the writer to retain a memory, and helping a person change. I especially related to Lucy who had such a hard time finding words to express herself, but discovers that sometimes feelings come out better in written words than spoken words. There is much in this book that is worthy of discussion. Each chapter ends with a poem written by one of the characters, but each chapter also raises questions about writing and feeling and living. I plan on sharing this book with some of my students and look forward to listening to their thoughts and feelings. I've found that I can learn a lot by listening to other people's words, especially children's. It's fascinating to observe how children learn to communicate and share their experiences. Writing provides one way for them to do so. 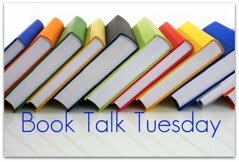 Head on over to The Lemme Library for this week's Book Talk Tuesday. This is a rather unusual book. 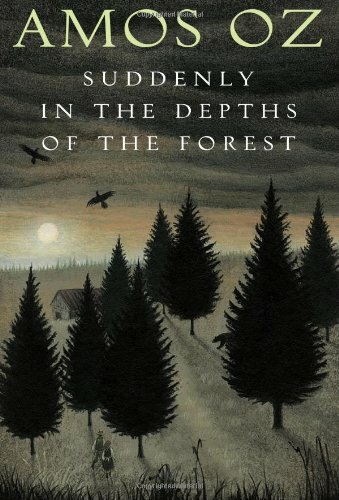 The intent seems to be fable-like with an underlying moral, but for me it came off as mostly a rather sad, depressing book. However, the writing is beautiful and credit needs to be given to both the author and the translator for that. I doubt though that the book will be picked up by kids on their own. It would make an interesting assigned reading or read-a-loud, with much to discuss: courage, hope, revenge, anger, and loss are all topics that come up in this book. There is rather a lot of description, and a lot less plot, the story kind of meanders and I doubt most kids would finish this on their own. But it is a thought-provoking book, ideal for discussion in an English class. Krensky does a good job of placing the reader in the stands during the first major league game that Jackie Robinson played in. I liked the point-of-view being that of a young boy enjoying a baseball game, who doesn't understand why so many people are throwing things and saying ugly, awful things. The book would be excellent for discussing discrimination and unkindness, which, unfortunately, are still very much with us. The illustrations do a good job showing the action and the emotion of the players. I did find the blue tint of the illustrations a little off-putting, but now that I think about it, I can see why the illustrator chose to do that. It could symbolize the cold reception that Jackie got from other players and fans alike, another good discussion point. Head on over the Lemme Library for other great book talks. This book is very thought-provoking, but it only provides a brief introduction to some of the people who have helped our country become what it is today. The organization is clear and crisp and easy to follow. Each double-spread page has a quote, a brief biography and explanation of the context of the quote, and a beautiful illustration. I did notice the Martin Luther King, Jr. page was missing the quote (in the ARC), but I assume that has been corrected in the finished book. The additional biographical information included at the back is helpful, as are the source notes, but it would have been nice to see a bibliography and a list of resources for student use. Overall, the book is well-presented and I think that my fifth grade teachers could use this for an introduction to their history fair unit (the students dress up as a famous person from United States history). This book provides a great way to get students interested in some of the people from our past. It would also be a great discussion starter to get the kids thinking about dreams and what they really mean and what dreams they themselves might have. 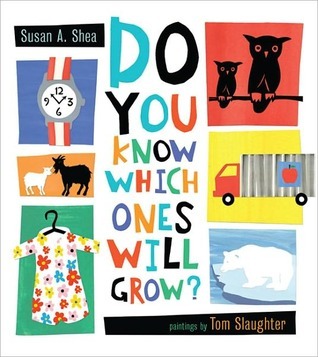 Nonfiction Monday provides a list of other nonfiction books for children. Today it is being hosted by Lori Calabrese Writes.